HIT BY A CAR IN NY? YOU AUTOMATICALLY HAVE INSURANCE COVERAGE! 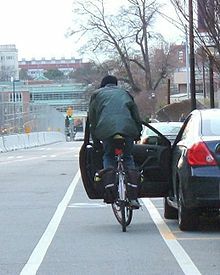 I hear from NY bicyclists all the time who tell me they have been hit by a car and then refused to take an ambulance to the hospital. Instead, they walked, called a family member or friend, and in some cases, got a ride from the driver who struck them! Because they thought they were going to have to pay a big ambulance bill for the ride to the nearest hospital or huge medical expenses just for being checked out in the ER. I certainly understand because ambulance rides don’t come cheap, and deductibles and co-pays can add up in a hurry these days. 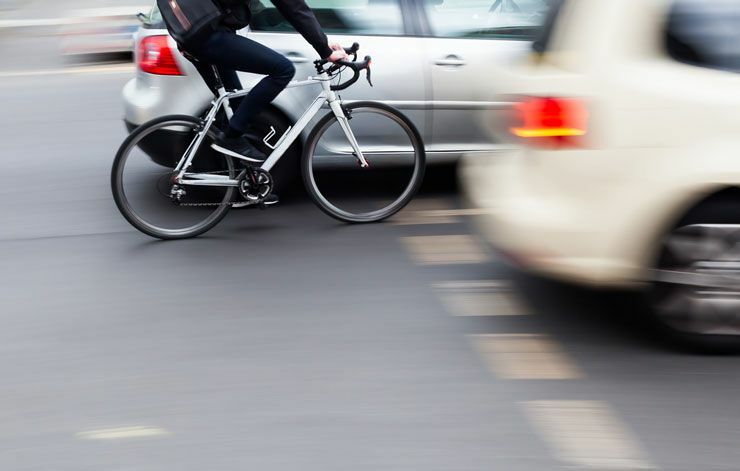 But bicyclists need to know that there is a law in New York State that ensures that the DRIVER’S insurance pays for your medical bills after a crash – and even your lost wages if you are out of work because of your injuries. It’s a great law in New York. All privately owned motor vehicles registered in New York State are required to have something called PIP coverage. PIP stands for “Personal Injury protection”, a form of “no-fault” insurance that covers medical bills and lost wages. NY requires every driver to carry minimum PIP limits of $50,000 to cover your medical bills and/or lost wages. Many people (including myself!) carry APIP which is “Additional PIP” with limits over and above the minimum, required $50,000 coverage. There is a reason PIP is called “no-fault.” It means that you’re covered no matter what happened – even if the bicyclist caused the crash, the rider is still eligible for PIP. That’s because it often takes a long time for insurance companies to determine who was at fault in a crash, and people shouldn’t be forced to wait around for the insurance company’s decision while their medical bills are piling up. 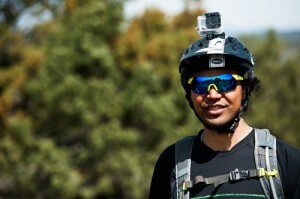 PIP is a great safeguard, and even though $50,000 can be eaten up very quickly by medical expenses, PIP goes a long way toward helping people stay afloat after a bike crash. So, if you are hit by a car in New York State, and it has state license plates, you don’t have to worry about paying for your initial medical treatment—just get in the ambulance! As long as you have recorded the driver’s plate number, you can start a claim with their insurance and apply for PIP benefits. If you need some guidance, send me an email at [email protected]. I’m always happy to help. 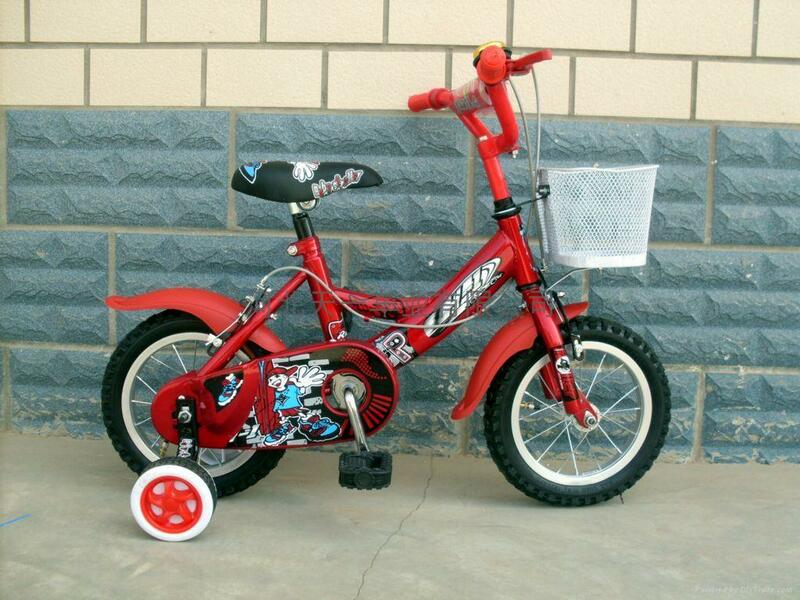 This entry was posted in Bicycle Accidents, Bicycle Collisions, Bicycle Laws, Bicycle Safety, Bike accident lawsuits, Bike accidents, Bike collisions, Risks for Bicycle Riders, Uncategorized and tagged accident attorney, accident lawyer, Bicycle, bicycle accidenet laws, bicycle accident, bicycle accident attorney, bicycle risks, Bicycle Safety, Cycling, Elmira, Elmira New York, Insurance, James B. Reed, Jim Reed, Lawsuit, New York, New York bicycle accident lawyer, ny bicycle accident, ny bicycle accident lawyer, ny bicycle cases, pa bicycle a, pa bicycle accident, pa bicycle accident lawyer, pa bicycle law, Twin Tiers, Ziff Law Firm on June 8, 2015 by Jim Reed. 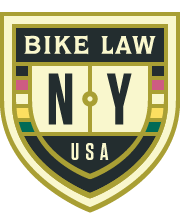 I am pleased and honored to announce that I have been selected by Bike Law, a national network of attorneys who represent and advocate for bicyclists, to represent injured N.Y. bicyclists. 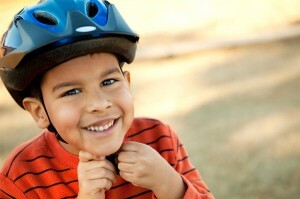 The network, at www.bikelaw.com, was founded by attorneys like me who help victims of bicycle crashes and advocate for safe bicycling. I am just one of two New York State lawyers named to represent bicyclists through BikeLaw. I will be available to represent clients from Upstate New York (all counties North of Westchester County). 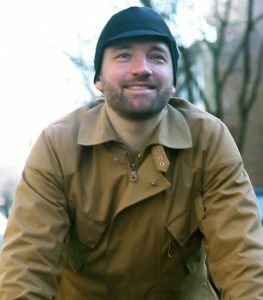 The other N.Y. lawyer selected by BikeLaw is my good friend and excellent bike crash lawyer Dan Flanzig of New York City. Dan will represent N.Y.C. area (Westchester, Dutchess, N.Y.C. & Long Island) bike crash victims. 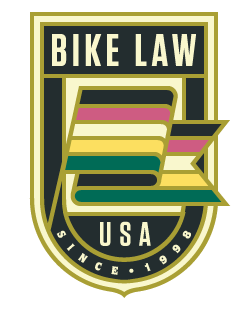 The Bike Law network was founded by Peter Wilborn of South Carolina and Ann Groniger of North Carolina. Joining Ann and Peter is Bob Mionske, a former professional cyclist and Olympian, and author of “Road Rights,” Bicycle Magazine’s monthly bike law column. 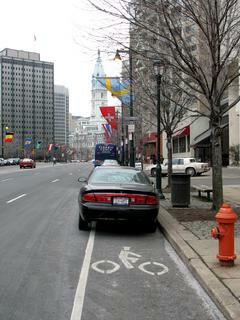 Joining BikeLaw, will also enhance my cycling advocacy work. As many of my readers know, I enjoy serving on the board of the New York Bicycling Coalition, and I am also a legal adviser to NYBC. If you or a loved one ever have the misfortune to be injured while cycling, please do not hesitate to give me a call or shoot me an E-mail as I represent bicyclists and their families from New York and Pennsylvania and have received many awards, including being selected Lawyer of the Year by Best Lawyers in America; a New York SuperLawyer for the last six years; and a member of the Multi-Million Dollar Advocates Forum. This entry was posted in Bicycle Accident Cases in Court, Bicycle accident lawsuits, Bicycle Accidents, Bicycle Collisions, Bicycle Safety, Bike accident lawsuits, Bike accidents, Bike collisions, Elmira bike accidents, New York Bicycling Coalition, Risks for Bicycle Riders, Uncategorized and tagged accident attorney, accident lawyer, Bicycle, bicycle accidenet laws, bicycle accident, bicycle accident attorney, bicycle risks, Bicycle Safety, bike accident, Bob Mionske, Cycling, Elmira, Elmira New York, James B. Reed, Jim Reed, Lawsuit, New York, New York bicycle accident lawyer, ny bicycle accident, ny bicycle accident lawyer, ny bicycle cases, pa bicycle accident, pa bicycle accident lawyer, pa bicycle law, Twin Tiers, Upstate New York, Ziff Law Firm on July 30, 2014 by Jim Reed. Matt and Michele Miller and their son, Holden. Matt Miller would be proud of his family and friends. 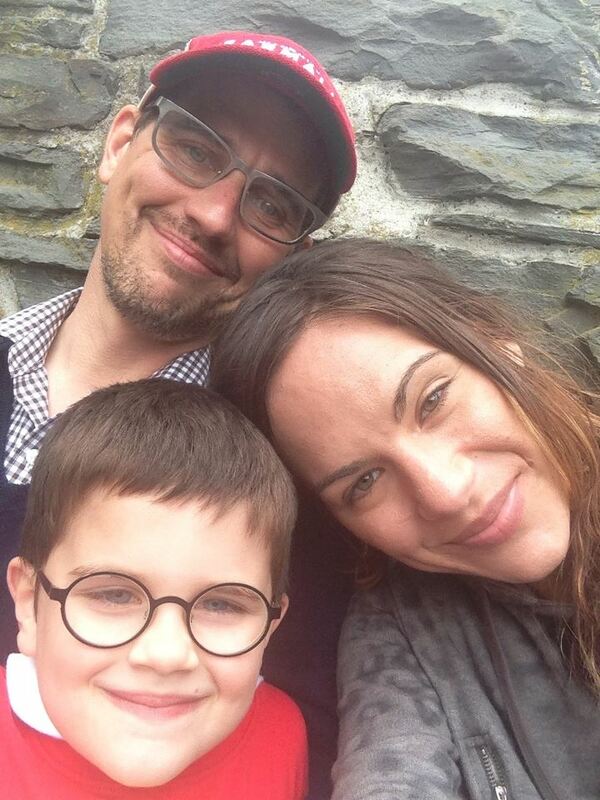 They have rallied to get the word out in the community about the dangers of left-turning drivers in the wake of Matt’s death in a bicycling accident in April. Matt was struck by a left-turning motorist and died the next day. He is survived by his wife and their 7-year-old son. I recently happily did my part to help his family get the word out. I wrote a newspaper column about the very real dangers bicyclists face every time they put on their helmets and head down their driveways. We live at the mercy of those driving around us. The column was published in the Sunday Star-Gazette which is our local paper widely distributed in the areas surrounding Elmira, Corning and Ithaca, NY. My column urged motorists to look twice to save lives when making left turns. 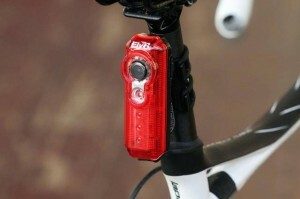 That second look may save the lives of countless bicyclists, motorcyclists, runners and other pedestrians. Look twice to save lives. I hope you will take a few minutes and read the column. And remember those five words. This entry was posted in Bicycle accident lawsuits, Bicycle Accidents, Bicycle Collisions, Bicycle Safety, Bike accident lawsuits, Bike accidents, Bike collisions, Elmira bike accidents, Fatal bicycle accident, Risks for Bicycle Riders, Uncategorized and tagged accident attorney, accident lawyer, Bicycle, bicycle accidenet laws, bicycle accident, bicycle accident attorney, bicycle risks, Bicycle Safety, bike accident, Cycling, Elmira New York, James B. Reed, Jim Reed, Matt Miller, New York, New York bicycle accident lawyer, ny bicycle cases, pa bicycle accident, pa bicycle accident lawyer, pa bicycle law, Twin Tiers, Ziff Law Firm on June 12, 2014 by Jim Reed. The Southern Tier Bicycle League is surveying local bicyclists to ensure our voices are heard as the Elmira-Chemung Transportation Council develops a Bicycling Master Plan for our area. Make sure to let our local planners know what you’re thinking — and please urge your friends to come to our website to get their copy of the survey as well. 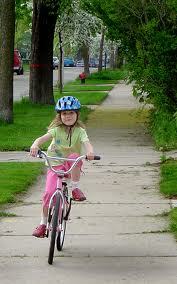 Here is the survey: Bicyclist User Survey 2014 Ziff Law Firm. Every voice counts. Maybe you just ride casually in Elmira, Corning or Bath, or down in the Valley in Waverly, Sayre or Athens. Perhaps you’re a seasoned rider from Big Flats or Mansfield or Horseheads. Your skill and interest level don’t matter. If you enjoy riding a bike a little or a lot, take a few minutes and answer the survey questions. One of the key questions: On which streets in the Elmira area would you like to see safety improvements be a priority? And what improvements are needed on the streets? 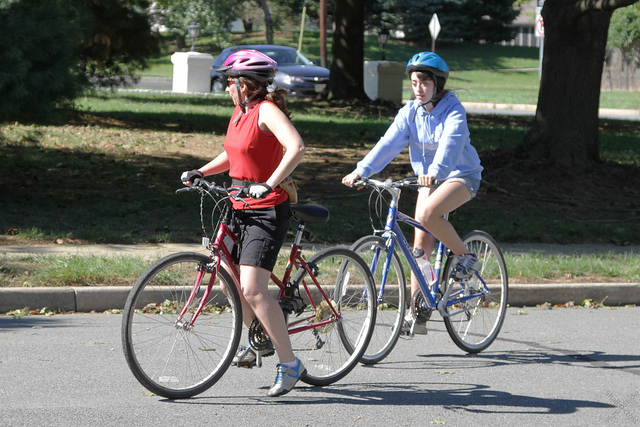 You can also suggest a high-priority street, and they also ask you about the importance of making the following streets safer for bicyclists and pedestrians: Pennsylvania Avenue in Elmira and Southport; Main Street; Church Street downtown and in West Elmira; Water Street; Broad Street in Horseheads; Lake Street; Grand Central Avenue; College Avenue; Hoffman Street and Broadway. 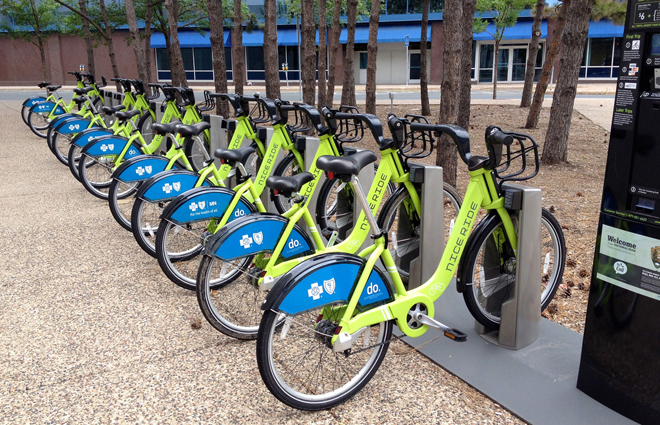 Take a ride now that it is warming up and see what you think, then come home and take the survey! 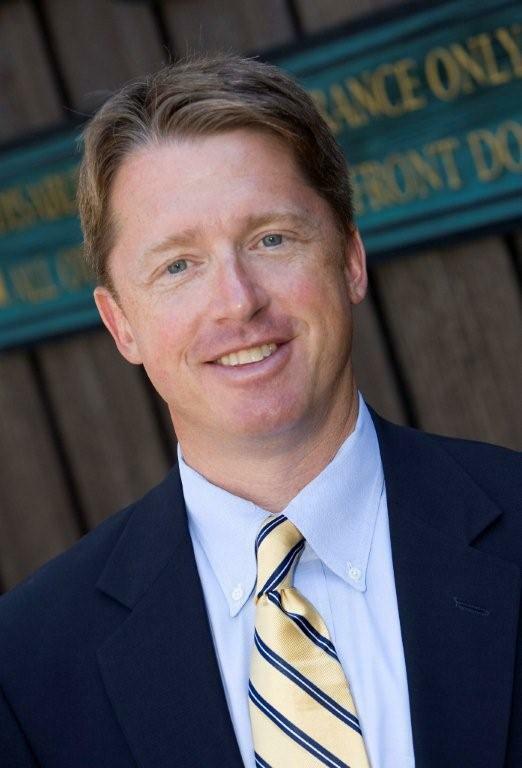 Please submit completed surveys to Kent Goben of the STBL by April 2. His email is [email protected]. Learn more about the STBL here and here. Thank you for reading and please tell me the following below: what one or two area streets are the most dangerous, and why? What do you suggest local officials do about the conditions? I will pass on your comments to the STBL. This entry was posted in Bicycle Accidents, Bicycle Collisions, Bicycle commuters, Bicycle commuting, Bicycle Laws, Bicycle Safety, Cool Stuff for Bicyclists, Elmira bike accidents, New York Bicycling Coalition, Southern Tier Bicycle League, Uncategorized and tagged accident attorney, accident lawyer, Bicycle, bicycle accidenet laws, bicycle accident, bicycle accident attorney, Bicycle Safety, bike accident, Church Street, Cycling, Elmira, Elmira New York, James B. Reed, ny bicycle accident lawyer, ny bicycle cases, pa bicycle accident, pa bicycle accident lawyer, pa bicycle law, Pennsylvania Avenue, Southern Tier, Twin Tiers, Ziff Law Firm on March 21, 2014 by Jim Reed. 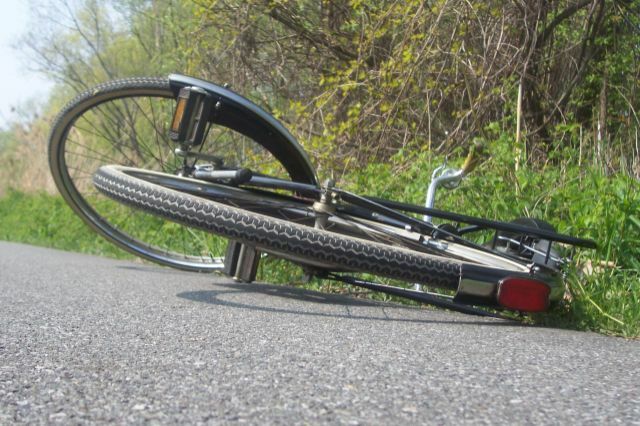 An Oneida County man admitted he was looking at a soybean field when he struck and killed a 74-year-old woman riding her bicycle Saturday in Kirkland, NY, according to a police report in the Syracuse Post-Standard newspaper. And police there have decided NOT to charge the admittedly distracted driver with any crime because, sadly, they apparently don’t understand the laws concerning bicyclists! Police said Catherine Howard-Gilpin, of Clark Mills, was riding on the right side of Fountain Street, heading north, shortly before 3 p.m. Saturday when she was struck by a pickup truck driven by Franklin Frost, 68, of Sauquoit, who was driving the same direction Gilpin was riding, police said. Frost told police he looked to the left side of the road into a soybean field. “When he looked back, the bicyclist was in his lane and he was unable to avoid the collision,” police said of Frost’s statement.Police said Frost was not injured. The newspaper report said Gilpin was not wearing a helmet, according to police. She suffered head and internal injuries, and was pronounced dead at the scene. Kirkland police said they do not plan to charge Frost. A police officer said the accident happened on a narrow stretch of the road where there isn’t much of a shoulder. Isn’t it interesting that despite the fact that the driver admitted he was NOT watching where he was driving, the police say they are not going to ticket him, even though his illegal and negligent inattention killed this poor woman …? And isn’t it interesting that despite the fact that the law does NOT require a cyclist over the age of 14 to wear a helmet, the news media chooses to emphasize that fact in its headline? Although I am a huge proponent of ALWAYS wearing a helmet, many helmeted cyclists are killed every year, so the fact is that this cyclist may have died even if she was wearing a helmet. And isn’t it interesting that the police say the cyclist was “in the driver’s lane”? The last time I read the NY Vehicle & Traffic laws, the lanes are for cars AND bicyclists, so the idea that the lane belonged to the driver is just dead wrong. 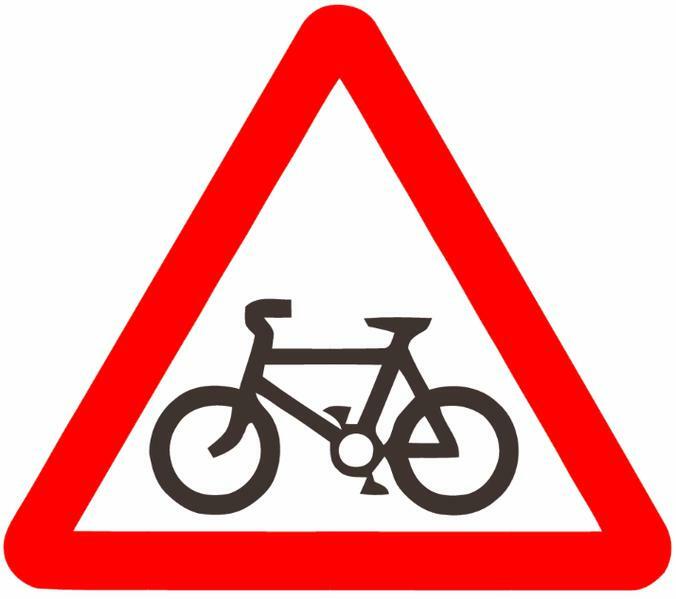 Hmmmmm, tough for a cyclist to get a break these days with everyone so quick to blame the victim …. Please contact the chief today. Please be safe out there this fall! This entry was posted in Bicycle Accidents, Bicycle Collisions, Bicycle Laws, Bicycle Safety, Bike accidents, Bike collisions, Fatal bicycle accident, Uncategorized and tagged accident attorney, accident lawyer, Bicycle, bicycle accidenet laws, bicycle accident, bicycle accident attorney, bicycle risks, Bicycle Safety, bike accident, Chief of police, Clark Mills, Cycling, Elmira, Elmira New York, James B. Reed, Jim Reed, Kirkland, New York bicycle accident lawyer, Oneida County, Oneida County New York, pa bicycle accident lawyer, pa bicycle law, Twin Tiers, Ziff Law Firm on October 22, 2013 by Jim Reed.